The decision to adopt a pet, no matter how small, isn't one that should be taken lightly - and it certainly shouldn't be made merely because you bought dinner. A Pizza Hut in Australia sparked a firestorm of criticism on social media over the weekend for an ill-conceived promotion pairing people with a free pet after merely purchasing pizza. The animal welfare group Oscar's Law was alerted to the sales gimmick offered at a store near Melbourne in partnership with a local pet store, Pet Story. 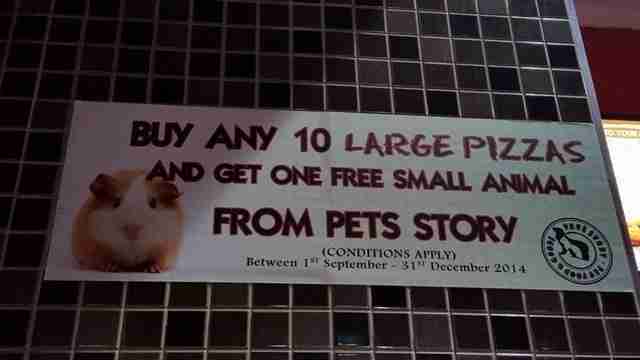 "Buy 10 large pizzas and get one free small animal from Pets Story." Although the promotion is lawful, commenters were nonetheless outraged that living creatures would be doled out so flippantly. "This just teaches once again that animals are disposable objects," wrote user Ashleigh Jane. 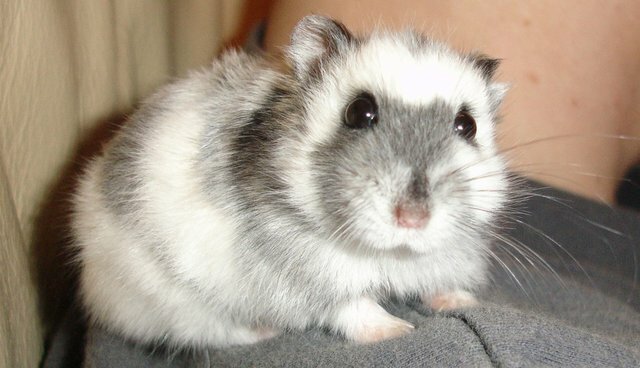 "Pets are a long term commitment that should be thought about properly not just because you bought 10 pizzas and got an animal for free. How disgraceful." "It has come to our attention that one of our stores have recently been running a promotion which was not approved by Pizza Hut Australia, nor was condoned in any circumstances. We would like to sincerely apologise to anyone who was offended by this. "The poster has since been taken down and all those involved have been made aware of the severity and inappropriateness of the promotion."